One of the major holiday hotspots in the North of the country is Buġibba, Qawra and the whole St. Paul's Bay area (from the hamlet of Salina up to and even including Xemxija). This is a seaside cluster of towns which have traditionally consisted of the holiday homes of the local population - but has now evolved to become a major touristic destination where many of our visitors stay, thanks to the great selection of accomodation which is available all throughout the year. In this guide, Choice Holidays will share the best tips and essential travel information such that you can get the most of visiting this seaside destination - your holidays to Bugibba. 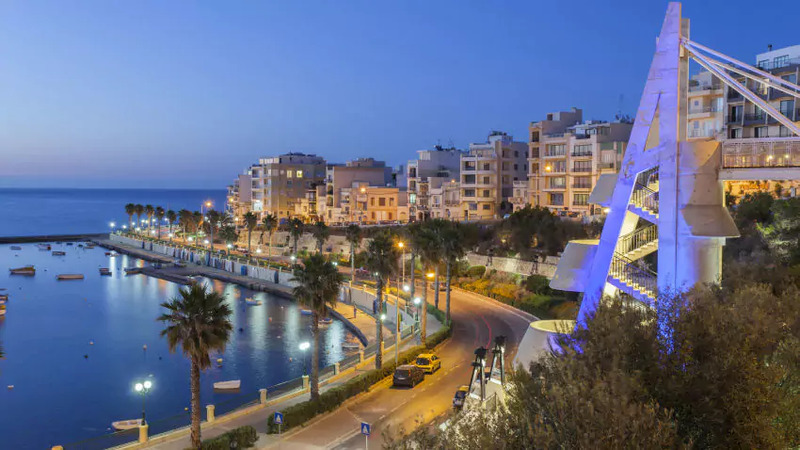 The area has recently also seen an drastic increase in its population thanks to major number of expats living in the area of St. Paul's Bay, Malta. The whole cluster of towns has all been built in the last 50 or so years, so this isn't a traditional Maltese village by any means - with few historical sites or culture, but it's a great destination nonetheless, particularly for those who are looking to enjoy and explore the North of the island, maybe even visiting Comino and Gozo. Given that the sea is a major feature of the area, one of the major attractions of the area is the promenade. The area is always breezy and cool at night, even during the hot summer months, so plenty of people will enjoy a lazy stroll and mingling on the sidewalk. The promenade stretches from the Sunny Coast Hotel in Qawra, mostly unbroken to il-Bajja ta' l-Ghazzenin (the lazy bum's beach) in St. Paul's Bay - almost 3km of promenade, which tends to get quite busy in the holidays, particularly the area between the Malta National Aquarium in Qawra, down to the Bugibba Square and going right up to the Gillieru area. After you've enjoyed your stroll, just settle in one of the plenty of places to eat, pubs, gelaterias which can be found in the area - many of whom also have outdoor areas, particularly the ones right next to the sea, so you can keep enjoying the breeze and the smell of the sea. Between the nightlife, several gift and other shops, thousands of locals who move to the area for the hot months and a large variety of places for entertainment - Buġibba, Malta becomes a bustling area and social hub for the Maltese and visitors to the islands alike. Here are some of the best tips if you're planning to spend your holidays in Bugibba or the surrounding areas of St. Paul's Bay. With the July and August weather getting into the mid to high-20s even at night, if you're not cooling off in an air-conditioned space, your best bet to staying cool in Bugibba/Malta is a stroll along the coast. This is one of the coastal towns which feature long, wide promenades, which are just the perfect way to enjoy the refreshing summer breeze and the salty smell wafting from the sea. Buġibba boasts one of the longest and most popular seafront walks, with literally thousands of people enjoying the long stretch from the edge of Qawra right up to the edge of St. Paul's Bay - a distance of nearly 3km - making it perfect for a stroll or a jog. 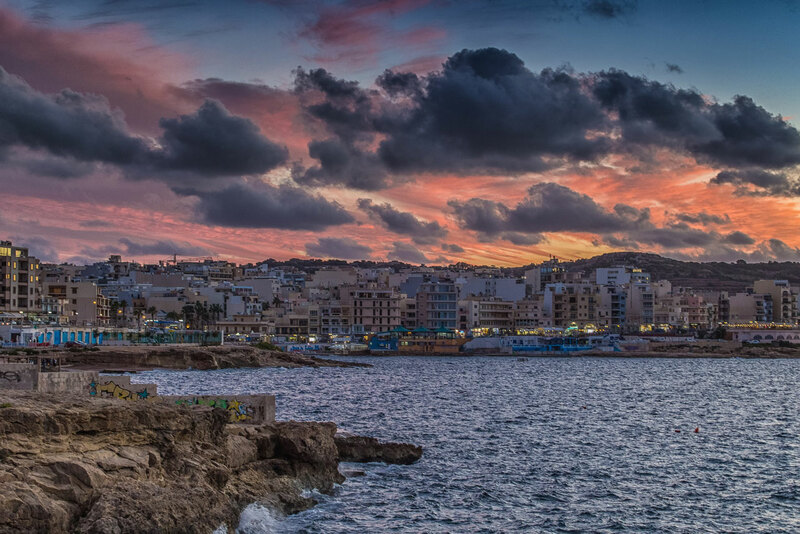 As you make your way along the promenade, early in the evening you can enjoy all of hues of typical Maltese sunset over the sea, whilst walking right next to a number of beach inlets, rocky beaches and a man-made, or artificial, "perched" sandy beach. If you start your walk from the side of Qawra, you'll probably walk along the Ta' Fra Ben area and Qawra Tower, today a pizzeria, bar and restaurant, but also a small inlet protected by a small isle, which is very well-sheltered from almost all of the prevailing winds. Moving onwards you'll get to Cafe del Mar and the National Aquarium Complex - (beautifully designed as a starfish, do try to catch a glimpse of it as you fly-in or out of the country). From there head on towards the Buġibba Square, where on the way you'll encounter the "perched beach" right in front of the Dolmen (you can't miss it). From here onwards, you'll encounter plenty of restaurants, gelaterias, bars and various other outlets, until you get to the Buġibba Square - the hub of the area - also a bustling square brimming with outlets, so if you feel like you're done with your walk, and want to grab a bite or a cold one, you have plenty of choice. If you're still up for the rest of the walk, keep to the coast and head towards the slight incline and keep to the coast. Again, you're spoilt for choice anytime you feel like stopping to take it all in, or just enjoy the soothing breeze. As you start heading down towards the Gillieru area, you'll get to a small harbour, sheltered by a breakwater (locally known as "il-Pont ta' Buġibba") typically full of traditional Maltese fishing boats. To the side are a number of Roman-era salt-pans. Beyond the Gillieru Harbour, shops get a bit sparse, until you get to the Sirens area. If you're looking to end your walk near a historical landmark, you can keep on going until you reach one of the Wignacourt Towers, a series of lookout towers built during the time Grandmaster Wignacourt, and which are dotted around the coast of the Maltese islands. (Fun fact: if you're near a Wignacout tower, you should be able to see at least two other towers - one to the East and one to the West. The idea of the towers was that when a sea invasion was spotted by one of the towers, a smoke signal would be sent. This would ensure the message (and warning) passes down from one tower to the other, so that all of the population is prepared for the attack). Doing all of the walk at a brisk pace you'll probably take about an hour and half, in fact, the promenade is a very popular area for joggers. The front is mostly made up of modern buildings, with a bit of a construction boom also happening the last few years, regenerating the areas slightly older buildings. 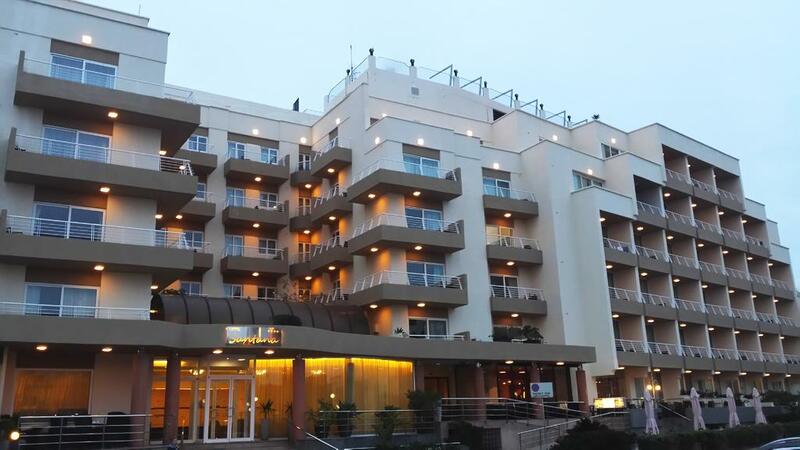 Given that this is a major tourist destination, there are plenty of good hotels in Buġibba - so you'll find it quite easy to find one which suits your preference in location and budget. 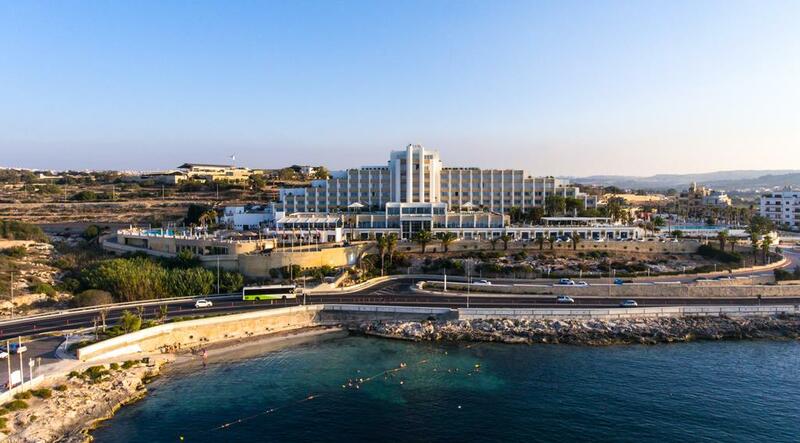 There are quite a few seafront hotels in the St. Paul's Bay area, whilst others are literally just a few minutes walk away from the coast - in reality, given the relatively small size of Buġibba, and the surrounding areas and the fact that these towns are literally touching the coast, most hotels will be very nicely located. There most central area is the Bugibba Square, but of course, most hotels are going to be walking distance from the main square anyway. It's advisable to keep commuting by personal car in and out of Buġibba down to a minimum, unless your accomodation has parking, because finding parking spots in the holidays is quite a challenge. Given that the locals tend to flock to Buġibba both during the week, but particularly in the weekends, finding parking is not always straightforward. Use the generic search below to find a suitable lodging in the Buġibba area which you prefer. Or have a look at our pick of hotels in Buġibba. ChoiceHolidays can always guarantee the cheapest package prices (flight + accomodation) so grab yourself a bargain now. 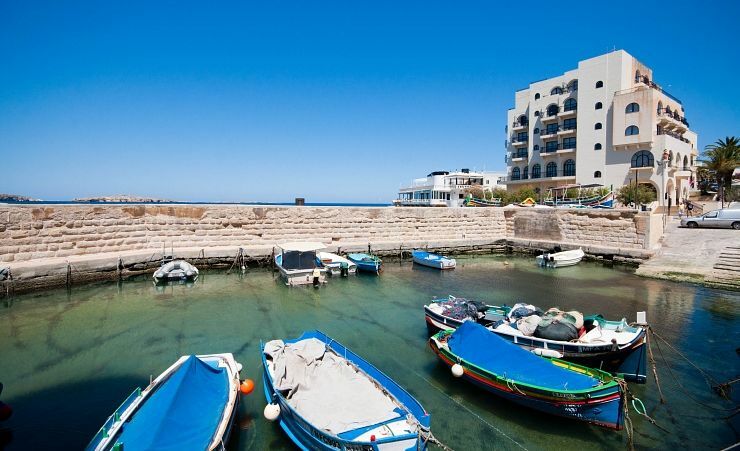 The below are our pick of a range of Buġibba hotels which are ideally located in the area. Found in a very central location, minutes away from all amenities, walking distance from the square and the coast, or public transport, this is a great option at fantastic value. This sea-front accomodation is actually located in the Qawra area on the periphery of Buġibba, but with a great location on the seafront, this is a good location to stay if you don't mind a 20 to 30-minute walk to the Square. If you don't there's still plenty of good places to eat and pubs around the area itself. 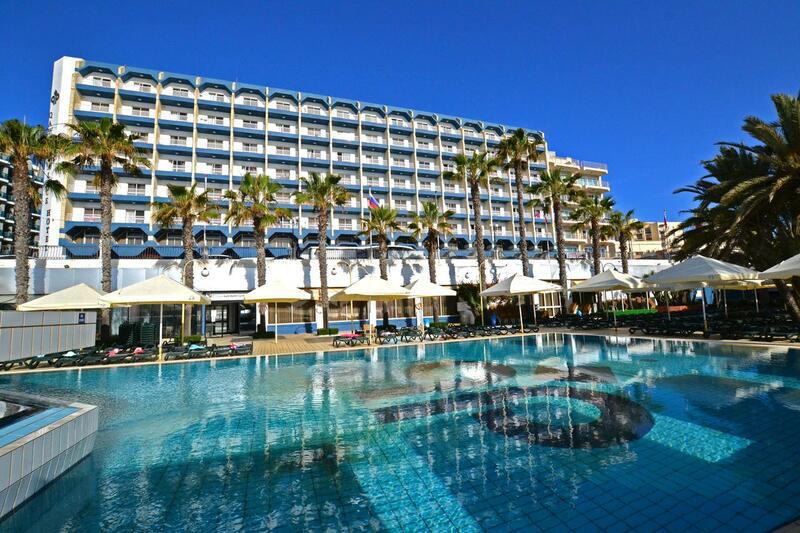 Another seafront location, centrally located with plenty of rooms. If you're looking for good entertainment both in-house and in the area, this is a good choice. A great all round option in terms of hotels in Buġibba. The DB San Antonio Hotel and Spa has been renovated and significantly expanded in the last few years, making it one of the best lodgings in the area. Plenty of great places to eat, bars and entertainment both within the location and within a few minutes walking. Funnily enough one of the entrances is found in Triq it-Turisti, literally Tourist Street in Maltese. For sure one of best hotels in Buġibba. 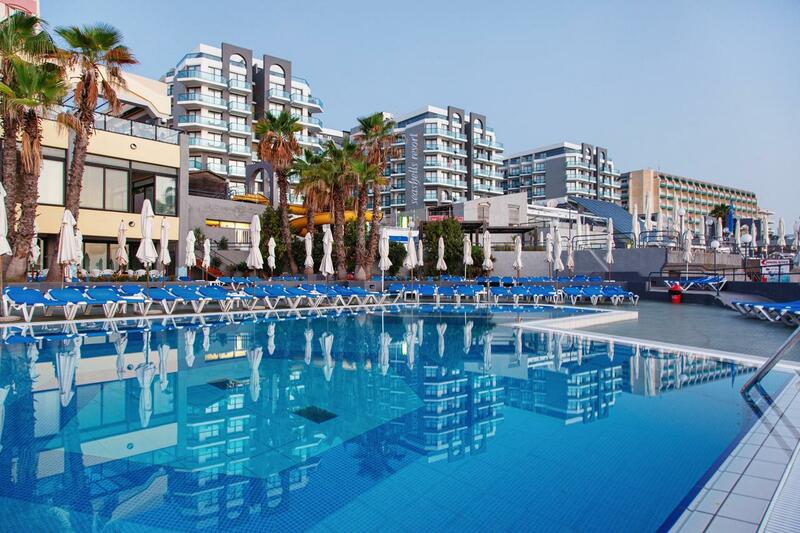 This is another recently fully-refurbished and upgraded resort, which is now a beautifully located destination. Including a number of great restuarants such as Giuseppi's and Vecchia Napoli, this Bugibba hotel features a number of pools, a spa, a gym and plenty of amenities. It is located on the seafront and enjoys spectacular sea views up to Gozo. The Gillieru Harbour is placed right on the water's edge, literally touching the Harbour. It is strategically situated such that it is within walking distance of the Square but not right in the middle of all the hustle and bustling crowds. The Seashells resort is also situated in the periphery, at Qawra - but with the group managing the Seashells also managing a number of restuarants in the vicinity, it makes this spot both not too crowded yet still with a few places of entertainment within a couple of minutes walk. The Luzzu, Cheeky Monkey, Duo, Ocean Basket and a few other eateries are all within walking distance. The Square is also within walking distance, about 20 to 30 minutes away by foot. The Santana is a great mid-range option, very central close to all amenities, great reviews and an all-round good choice. 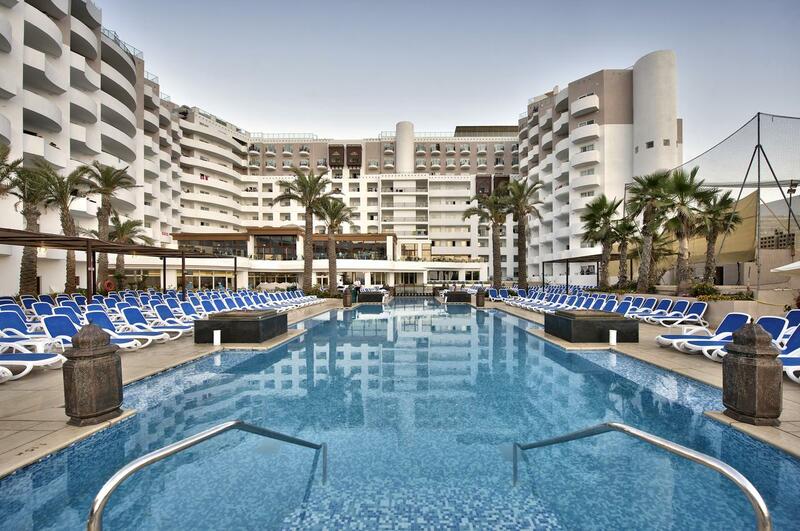 If you're looking just for a place to crash and planning to spend most of your days sunbathing or partying the night away, the San Anton is great if you don't have high-expectations. Again, if you're not looking for a fancy place to stay, centrally located with easy access to most places, this accomodation gets the job done. The Bella Vista is also on the periphery of the area, located in Qawra, close to Kennedy Grove. It has splendid country-side and sea-views if a bit dated. With this being a seaside town, used as vacation home for plenty of Maltese people, besides catering for the tourism industry, apartments for rent are plentyful and you'll find plenty of choice. Use our search below to find a few great options of places to stay. The nightlife in this area is quite lively, particularly during the summer holidays - there are tens of places of entertainment, particularly plenty of pubs, restaurants, cafe's and more. There's a cinema in Pioneer Road and of course, for the families with kids, or for everyone really, there's the Malta National Aquarium. Really and truly, while there isn't much clubbing, there is everything else to be found in the area. From the edges of Qawra right up to Xemxija, there's plenty of places of entertainment - there's also direct transport to other hotspots, so really you'll be very well-served. Tarragon is a one of the best, fine-dining places in the area. Located close to Sirens, it is directly at the Water's Edge with open views - which is great if you're looking for a great romantic atmosphere for a nice dinner. Fine-dining in a luxury atmosphere is great, but it's not for everyone all the time. If you're looking for a great gastronomic experience, but in a much more casual atmosphere, Cheeky Monkey is definetely a spot you you need to go to. 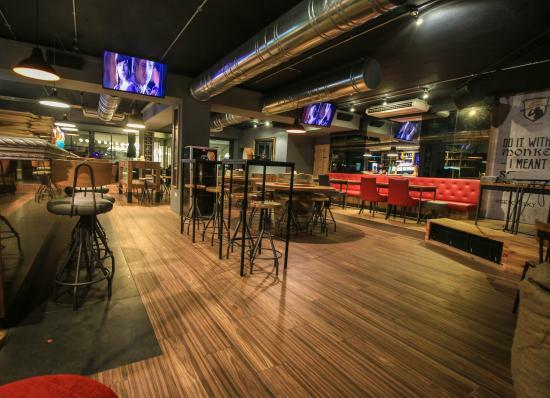 With burgers to die for and (literally) sacks of peanuts to munch on, whilst catching the latest football, match - the place is great for a fun, casual night out. Holiday + Maltese isles = lots of ice-cream. And when looking for a great ice-cream, Sottozero is definetely one of the places you need to try. Although it won't be hard to find pizza, we like to get a specific kind of pizza - one which pretty much follows the italian style, and specifically a Napolitan style of pizza. Pepe Nero is another restaurant found exactly at the water's edge, but it's the pizza which is what really attracts us to this place. Thin crust, wood-oven, and just fanstastic all round. This is a bistro which has earned it's reputation for great food in a cosy atmosphere at very fair prices. If you're looking for a good meal, you won't go wrong here. 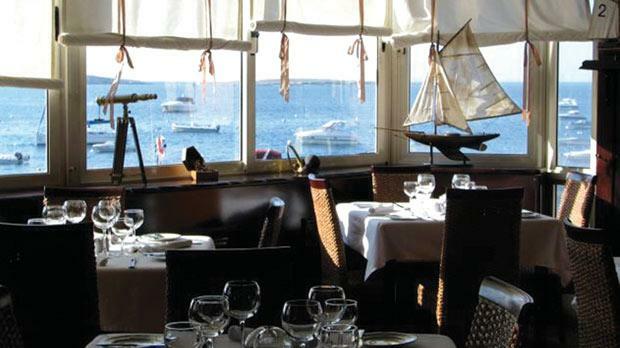 Duo is another very genuine Mediterranean cuisine restaurant which we love to eat at when we're around the area. This franchise from South Africa has recently opened it's doors here. 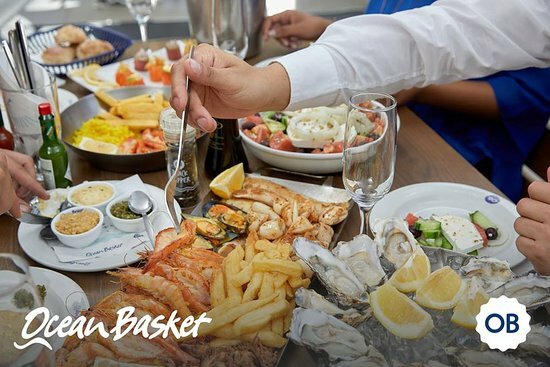 Whether you're in the mood for Sushi, a nice fish fry-up or a good ocean catch, Ocean Basket has got you covered. Tagine is a Morroccan style restaurant found as part of db San Antonio. As one of eateries of the luxurious accomodation, you can expect the level of the quality to match the quality of one of the good hotels in the area. 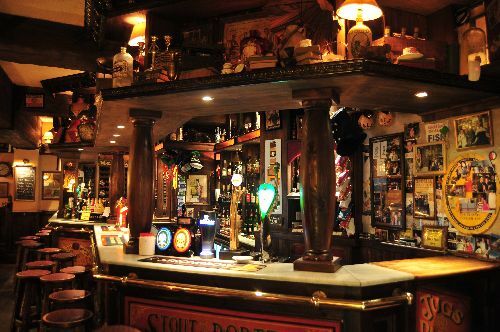 Your typical English pub, beer, music, sports on multiple screens and an all-round great atmosphere. You can't miss it, just off the Square. If you fancy a meal, or a good English Breakfast, done the proper way, pop right next door to Mirabelle's. Not a restaurant, rather an Irish pub. Once again, great for good clean fun - both with the locals and with visitors. Given the fact that the North and St. Paul's bay and Bugibba being such a popular destination, getting there is very easy, with plenty of different options available. 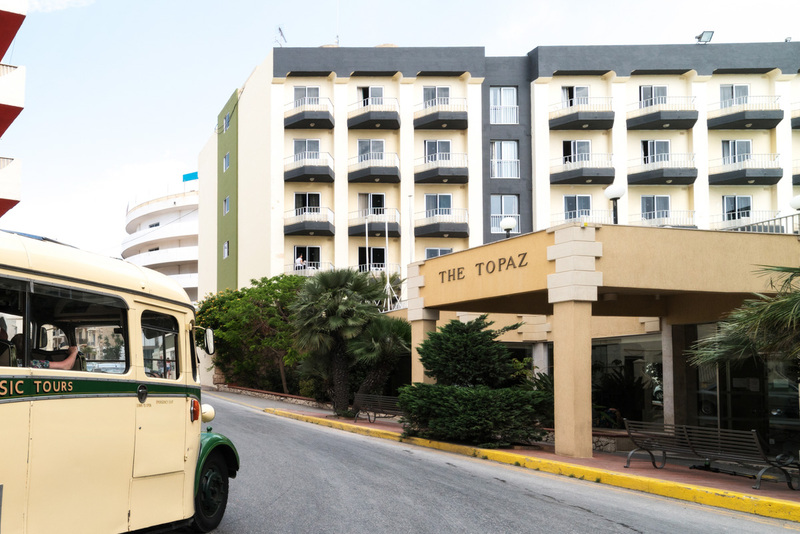 The trip from the Malta International Airport to various places in the North, including the bus terminus found close to the Dolmen is about 18km. By car, it would normally take between 30 mins to an hour at peak times. By public transport, this would translate to 1 hour to 1 hour and a half most times. There is a direct bus which goes to Cirkewwa but passes close to Bugibba, stopping at the Kennedy bus stop, from where you'll have about 10 to 15 minutes walk to get to the Square and most other places in the area. The fare costs €1.50 in winter, €2.00 is summer, and €3.00 for the night service if you buy cash tickets. Prepaid cards are usally cheaper in the long-run, so if you're planning to do some travelling by bus, you might want to check out the cards available on the Public Transport website. Taking a cab is faster, but pricier option, with fares starting at about €24 with pre-booked private cabs such as eCabs. Alternatively, you can catch a White Taxi directly from the stand at the airport, but you'll find that at peak hours you might find yourself waiting. Booking beforehand is recommended. Shared shuttle services such as those offered by MaltaTransfer from the airport to Bugibba cost about €20 and should also be booked beforehand. You can also get to the area by private car (if you've hired a car), but finding parking is very difficult - with traffic wardens dishing out fines for any parking contraventions (not parking within white boxes). It is highly advisable to ask for parking at the accomodation where you are staying, or find a paid parking area close to your accomodation to avoid wasting time looking for a parking spot. Cafe del Mar has a paid private parking, whilst close to the Santana, there is a large public area which is typically used for parking. There are other parking spots and quite a few white parking bays, but finding them, particularly in the evening in during peak times, is elusive. Other than from the airport, getting to Bugibba is very easy. Most tourist services will offer transport to and from your lodging. Public Transport also is very well connected to the area. As with most major towns and tourist destinations, you'll find that Hop-On, Hop-off are a regular feature here. In fact, open buses are a great way to discover the most interesting places if you don't have much time, given that most of the year you'll be able sit outside comfortably - you're actually more than likely to get a sun-tan even just by staying on the bus. The North Route passes through the Square and near the National Aquarium besides a couple of other spots. A full day ticket costs €20 and is a great way to enjoy the best sights. Just as we've said above, this seaside town was built specifically as vacation residences so you'll find that most of this location is all within walking distance of the water. Most of the coastline, is publically accessible, with a few areas which are busier. Ta' Fra Ben and the recently developed artificial or "perched" beach are very popular with sunbathers. Besides these two beaches, the most beautiful Maltese sandy beaches are only a very short distance by car from the area. 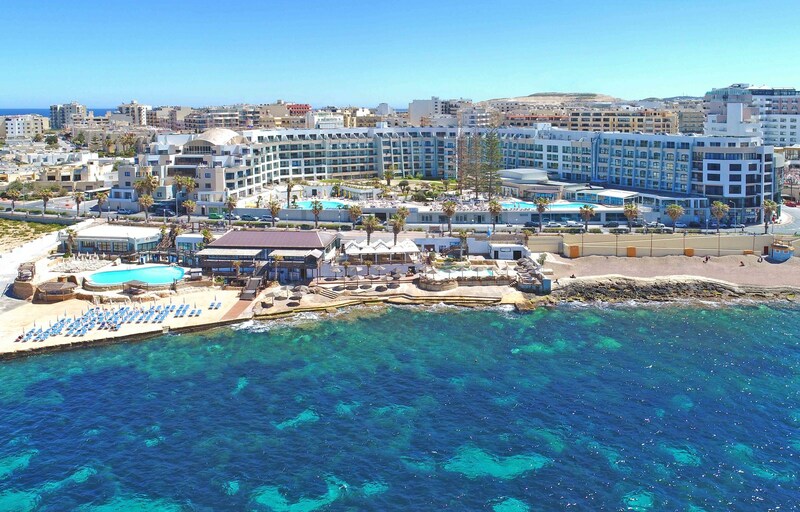 Head to Golden Bay or Mellieha Bay, both of which are easily accessible and very well-connected by bus, with regular trips both ways. The whole area gets quite busy in the hotter months, with many locals actually visiting both the beaches and the promenade. You'll also find paid beach clubs, such as Cafe del Mar, Amazonia Beach Lido, and the Sunny Coast Lido. If you're looking for something to do for the kids, there is the Bugibba Water Park a few away off the Square. 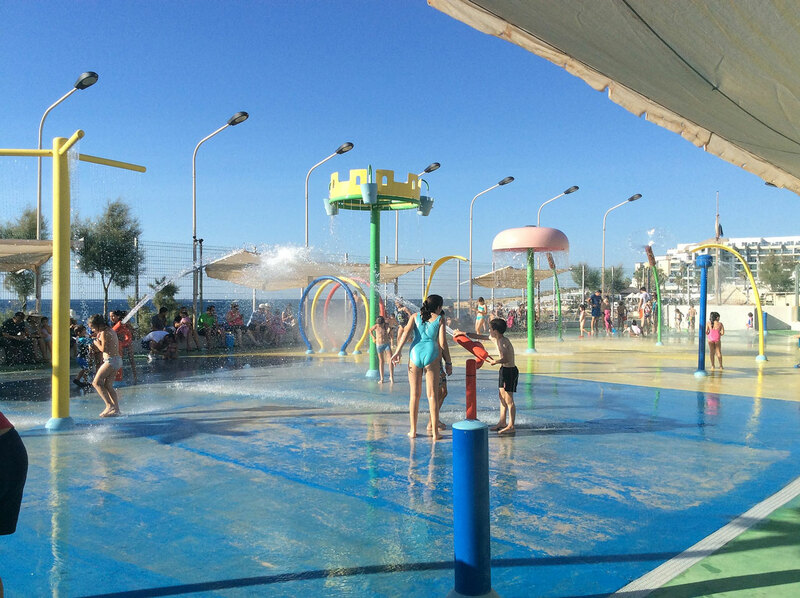 There's also the Splash and Fun Park, in Bahar ic-Caghaq, which is just a couple of kilometres away on the Coast Road, going towards Sliema. The area also has plenty of scuba diving schools, so whether you're planning to learn or perform a few dives, you're going to be very well served. Water sports are of course also plentiful in the area. All of this make Bugibba holidays ideal if you are planning to go to a bunch of beaches or are just planning relaxing beach holidays without too much travel. When you've gotten enough sun and swimming you might eventually find some time for visiting a few points of interest, or one of the things to do in Bugibba, Malta. Unlike most towns on the Maltese islands, you'll find that churches in Bugibba are not so common and the ones which there are very modern, so they don't carry much history. So you'll find that the things to do here are more on the lines of entertainment than culture. Once again, these are perfect for anything from those who want to chill, or those who come for family holidays. The National Aquarium and the square right next to it is one of the fairly recent attractions having been opened only a few years back. This is a Quality-Assured Visitor Attraction which is a perfect place for kids and families. 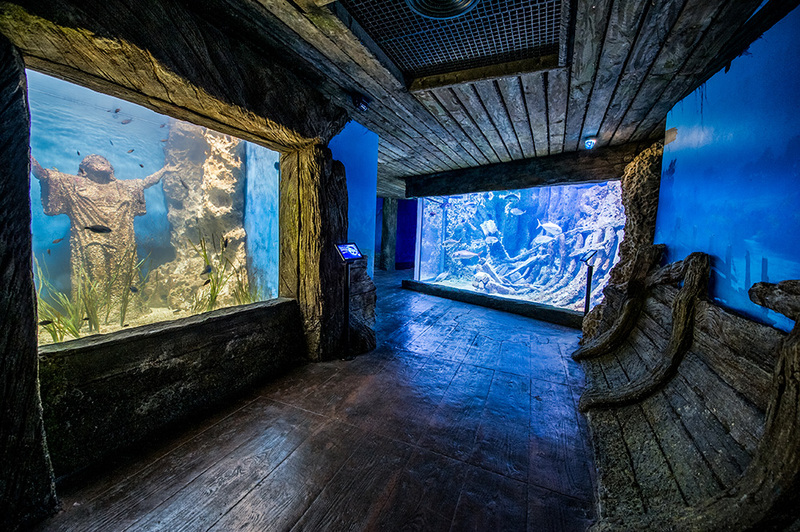 It's great because many of the attractions combine the history of the country with the actual aquarium, so you're bound to spot a prehistorical template like structure as the backdrop to the aquarium. Tickets are €14 for adults and €7 for children up to 12 years old. Run by classic car enthusiast Carol Galea, this is a great place if you're a fan of classic cars. Most of these cars have been lovingly restored by the owner and founder of the collection. At the price of €9 this is well worth it if you're into this sort of thing. The Bird Park is another attraction for visitors and families. This is a Conservation Park for endemic Maltese birds and other wildife. It is home to 200 species of birds and other wildlife. Guided tours, feeding experiences and interaction with the birds is also possible. The entry fee is €8 for adults (13+) and €5 for children. The Salina Park, part of the Kennedy Grove area is a children's and family park. The Salina salt pans are another hot spot for bird-watching. Besides plenty of species of seagulls, you'll also find a number of migratory species during the migrations (around March / April) and (September / October). If you're really lucky, you might actually spot a Flamingo making a stop here. The Salt pans are beautiful for taking pictures in the morning. Kennedy Grove is man-made small grove, also designed for family entertainment, which gets very busy in the weekends in the winter months. If you're close to the coast in general, in a place where there is good visibility of the whole coast, you're more than likely to encounter one of the plenty of watch towers built to protect the population from sea-based seiges. Grandmaster Wignacourt, added his own touch to the series of towers built by Lascaris and DeRedin - with a difference though. While the towers built by Lascaris and DeRedin were watchtowers, the (six) towers built by Wignacourts can be considered as strongpoints or fortresses, built specifically to strengthen the defences of that particular part of the country. One of the Wignacourt towers stands at the very edge of the Bugibba area, a few metres up from the Sirens. This is one of the four remaining Wignacourt towers. The tower is very well preserved from the outside and has been recently restored. Wignacourt Tower is generally opened daily between 10am to 1pm Mondays to Saturdays and the first Sunday of each month, pending volunteer`s availability. Visitors should contact DLH (an NGO which maintains this an plenty of other historical monuments) offices on 21225952, 21220358 when planning their trip to this Tower. When we travel to a place, we typically like to learn quite a bit about it - the stories which we learn and the interesting facts give you a better understanding of the local culture and makes your holidays even more memorable. It's also great for telling stories when you're back home. A megalithic temple was built in what is now the grounds of the Dolmen (hence the name of the hotel - Dolmen is a megalithic structure which consists of two standing megaliths, which support a horizontal "table"). The population of the area trebles in the holidays. From about 22,000 residents, the populations balloons to more than 60,000 locals and visitors for whom the area is their holiday residence. From most of Bugibba, you'll be able to see the islands of St. Paul, or "il-Gżejjer ta' San Pawl". This is reputed to be the location where the Apostle Paul was shipwrecked on his way to his execution to Rome. St. Paul is known as the figure who brought Christianity to the islands during the few days he spent here - although these days, it is believed that the shipwreck might have actually occurred in the south. Bugibba was originally a surname of known Arabic origin. Altough the name survives as the name of this area, the surname is no longer in common use. As somebody who is looking to come, here's are some common questions you might have. Should I stay here as part of my holiday? Yes, if you enjoy staying in a "busy" area - espeically in peak holiday seasons. Although located is in the north, it is very well connected and popular with tourist operators so you're bound to find all you need as a visitor. Excellent location for a family holiday or anybody really. Is it safe? The Maltese islands have few if any no-go areas which are not safe. The crime rate is very low and generally speaking the country remains one of the safest, but it's never a bad idea to keep an eye out for your and your companions' safety. If you find yourself in an area or situation which looks and feel dodgy, get yourself to more populated areas quickly. Staying safe involves common sense, so if an area feels dodgy, listen to your instincts, but there should be little to worry about. Can I find free Wi-Fi? As with most places you'll find that most pubs, food places and cafes offer free connectivity. The Maltese government also has a program of providing free Wi-FI in squares and public gardens - so look out for MCA Free Wifi to get connected for free. Can I eat cheaply? Absolutely, if you go to the right places. There are ways and means of shopping around for the right prices. Visiting any of the small kiosks, pizza stands and other such food stalls should result in a good bargain and any very local eatery will provide snacks and food cheaply (and yes, it is very safe to eat there, despite the fact that they might look grubby). Alternatively, you can do some shopping are grocery stores or Supermarkets such as Piscopo's, or Scott's. If you've still got questions, we'd love to hear from you! Why not book your holiday to Bugibba now? Choice Holidays is an ATOL protected Malta travel specialist, so booking with us gives you total peace of mind. Check out our great deals on package holidays and ask for any other information.